Frontier Airlines Adds New Service Between Las Vegas and Both Nashville, TENN. and Tampa, FLA.
Frontier Airlines will launch new service between Las Vegas and both Nashville and Tampa Sept. 6. Frontier is offering special introductory fares as low as $69 one-way on these new routes as of today at Flyfrontier.com. With The WORKSsm, fares will be as low as $126. Customers can take advantage of Frontier’s bundled choice, the WORKS℠, containing all of Frontier’s most popular options for one low price. The WORKS℠ is available at FlyFrontier.com at time of initial booking and includes one carry-on bag, one checked bag, best available seat including Stretch and Exit Row options, full refundability when canceled at least 24 hours prior to scheduled departure, no change fees and priority boarding. “Our average total fare for all of Frontier Airlines is $115, much less than what our competitors offer,” said Daniel Shurz, senior vice president – commercial. “Customers wanting to travel to and from Las Vegas have told us they want more low fare options, and with The WORKS, we offer the best value in U.S. air travel.” From Las Vegas, Frontier will be serving 19 non-stop destinations, more than double what the airline served last September. In just the past year, Frontier has added new non-stops from Las Vegas to Columbus, Ohio; Colorado Springs, Colo.; Houston; Miami; Milwaukee; Pittsburgh; Salt Lake City and San Antonio. We are thrilled that our partners at Frontier Airlines continue to expand service to Las Vegas,” said Cathy Tull, senior vice president of marketing for the Las Vegas Convention and Visitor’s Authority. “Frontier is the fastest growing domestic carrier in Las Vegas, helping the destination set a new visitation record of more than 42.3 million visitors last year. Every new seat provides opportunity for continued growth.” In addition to the new Las Vegas service, Frontier is also reinstating non-stops between Chicago O’Hare and both Cabo San Lucas, Mexico and Puerto Vallarta, Mexico at the end of October. 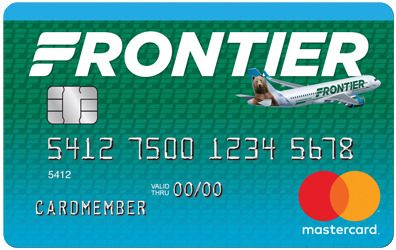 (2) New Frontier Fare – Fares are one way and do not require roundtrip purchase. Fare(s) shown includes all transportation fees, surcharges and taxes, and are subject to change without notice. Seats are limited at these fares and certain flights and/or days of travel may be unavailable. Depending on the fare type purchased, nonrefundable tickets may be transferred for a fee of up to $75, or reissued for alternate flights for a fee of up to $99 as well as a possible fare increase. The name change fee and itinerary change fee are inclusive of each other. Previously purchased tickets may not be exchanged for these special fare tickets. Flight segment(s) must be cancelled prior to scheduled departure time or the ticket(s) and all monies will be forfeited. (3) Tickets must be purchased by 11:59 pm Eastern time on Jun. 22, 2016 for nonstop travel Sep. 7, 2016 through Mar. 1, 2017. The following blackout dates apply: Nov. 18 – Nov. 29, 2016, Dec. 16, 2016 - Jan. 3, 2017, Jan. 12 - Jan. 17, 2017 and Feb. 16 – Feb. 21, 2017. Sale fares for travel TO Las Vegas are valid Saturday through Wednesday. Sale fares for travel FROM Las Vegas are valid Tuesday from 5:00 am through Saturday. 4) The WORKS℠ is available only at FlyFrontier.com at time of initial booking; prices range from $49 to $69 each-way, based on round-trip purchase, and includes one carry-on bag, one checked bag, best available seat including Stretch and Exit Row options, full refundability when canceled at least 24 hours prior to scheduled departure, no change fees and priority boarding.